UK new passenger vehicle registrations increased by 3.2% between January and June 2016 to a new record high 1,420,636 cars. Ford and the Fiesta remained Britain’s top-selling car brand and model. During the first half of 2016, the British new car market expanded by 3.2% to 1,420,636 new passenger vehicle registrations – the strongest first half of a calendar year ever recorded in the UK. However, in June 2016, car sales were down a modest 0.8% with Brexit adding a major element of uncertainty for the car market in Britain during the second half of 2016. Ford, Vauxhall and Volkswagen lost market share but remained the top-three brands. The Ford Fiesta, Vauxhall Corsa and Ford Focus were again the three most-popular car models in Britain in 2016. New passenger vehicle registrations in the United Kingdom expanded during the first six months of 2016 by 3.2% to another record January to June period of 1,420,636. During the first half of 2016, more than 40,000 more cars were sold in Britain compared to the previous record half year in 2015. However, June 2016 was the first negative month since October 2015, which brought a period of 43 consecutive months of growth to an end. In June, car sales in Britain declined by 0.8% but the outlook for the second half of 2016 is very uncertain. Political uncertainty is generally a negative factor on car sales but some buyers may bring purchase forward hoping to avoid higher import prices due to a weaker currency. July and August are traditionally low-volume months so the first useful indication of market direction will only emerge when the September figures become available in October. *Citroen figures for January to May 2015 include DS sales. There were no changes in the top-ten marques in Britain although the rank order changed slightly. The top three best-selling car brands in Britain remained Ford, Vauxhall and Volkswagen but all three had weaker sales in an expanding market with Vauxhall and Volkswagen each losing a full percentage market share. Vauxhall’s market share fell below 10%. Volkswagen was the worst performer of the top-ten brands in the UK and had sales down by nearly a fifth in June 2018. BMW improved from sixth place last year to fourth in 2016. Audi slipped one place with sales just above market average. Mercedes Benz was the most-improved brand amongst the top ten marques and improved from seventh a year ago. Nissan slipped two positions with weaker sales while Peugeot kept eighth place despite weaker sales. Toyota and Hyundai also maintained their positions from a year ago with positive sales but increases below market average. The most-improved brands amongst the top 30 were Jaguar, Smart and Jeep. The worst performers amongst the top 30 were Mitsubishi, Seat and Volkswagen. Renault increased sales by more than a fifth and moved up two rank positions. Land Rover also improved two positions with much stronger sales. DS sales are included in Citroen figures for January to May 2015 making comparative statistics such as the 1000% sales increase nonsensical. The order of the top seven best-selling cars in Britain during the first half of 2016 was unchanged from a year ago. 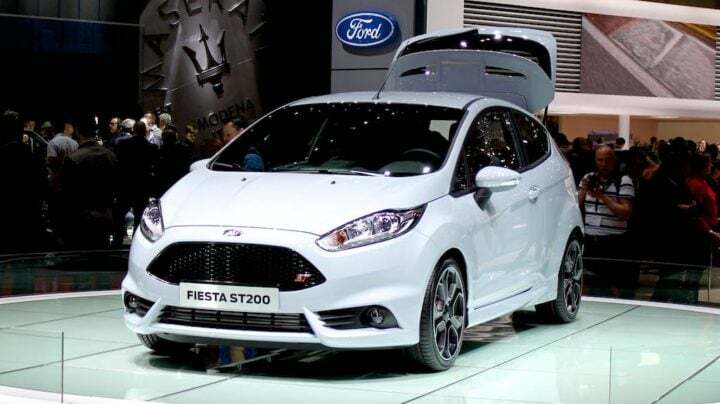 The Ford Fiesta comfortably remained Britain’s favorite car in 2016 but all of the best-selling car models sold in lower volumes than during the first six months of 2015. The volume declines were especially strong for the Corsa and Focus. The Nissan Qashqai was again the best-selling Japanese car and the favorite SUV in Britain. Mini sales increased allowing the BMW-owned brand to improve two rank positions from a year ago. The Vauxhall Mokka is a new entrant, at the expense of the Audi A3 that was the eighth best-selling car model in the UK last year. The Mercedes Benz C-Class slipped on position as the tenth most-popular car model in the UK in 2016.